We met in the summer of 1999 in Aberdeen, SD, so we have known each other for almost ten years. We started dating seriously in late October of 2004. We were engaged on June 12th, 2005, during the wedding reception of a friend. 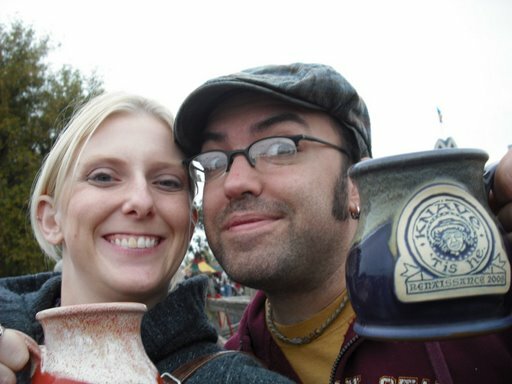 We were married on June 9th, 2007 in Aberdeen SD, and spent three weeks backpacking across Europe for our honeymoon. In September of 2007 we moved to Minnesota. We currently live in Minneapolis.